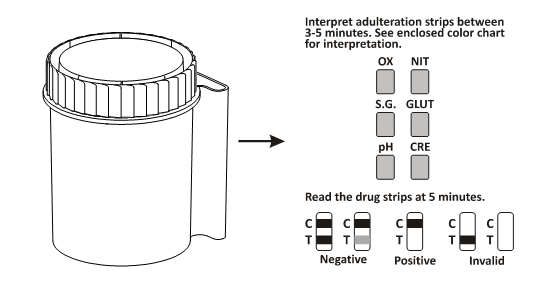 Configurations of the Multi-Drug Rapid Test Cup come with any combination of the above listed drug analytes with or without S.V.T. 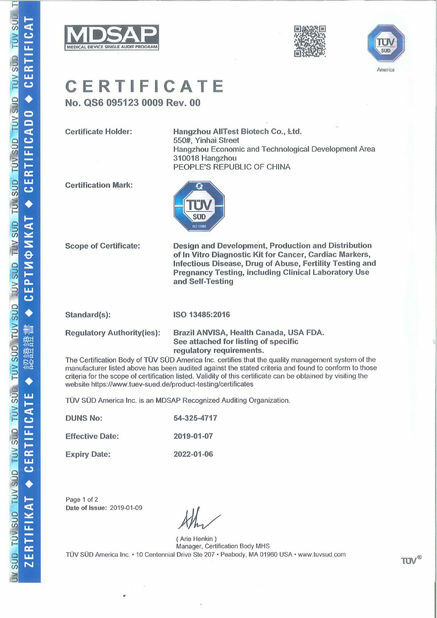 This assay provides only a preliminary analytical test result. A more specific alternate chemical method must be used in order to obtain a confirmed analytical result. Gas chromatography/mass spectrometry (GC/MS) is the preferred confirmatory method. Clinical consideration and professional judgment should be applied to any drug of abuse test result, particularly when preliminary positive results are indicated. 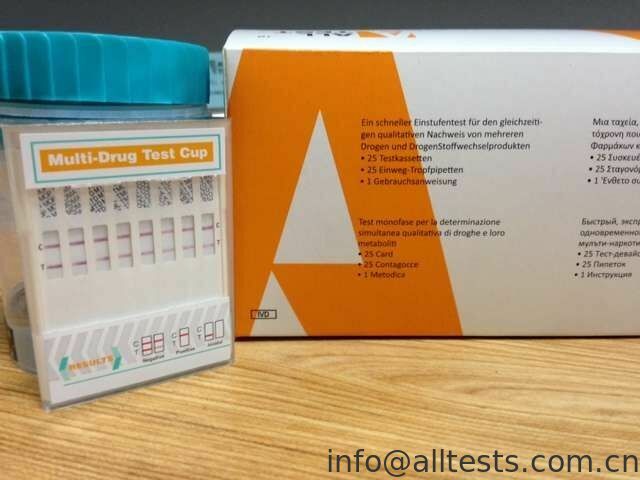 The Multi-Drug Rapid Test Cup is a rapid urine screening test that can be performed without the use of an instrument. The test utilizes monoclonal antibodies to selectively detect elevated levels of specific drugs in urine. Allow the test, urine specimen, and/or controls to reach room temperature (15-30ºC) prior to testing. Bring the pouch to room temperature before opening it. Remove the cup from the sealed pouch and use it within one hour. Technician dates and initials the security seal and attaches the security seal over the cup cap. 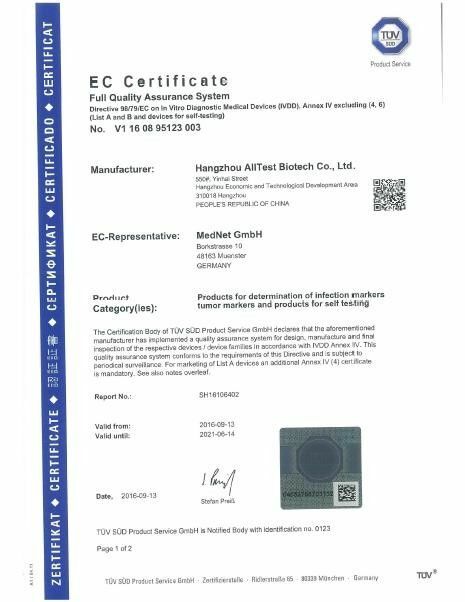 Read the adulteration strips between 3-5 minutes (when applicable) compare the colors on the adulteration pads to the enclosed color chart. If the specimen indicates adulteration, refer to your Drug Free Policy for guidelines on adulterated specimens. We recommend not to interpret the drug test results and either retest the urine or collect another specimen. The drog strip result should be read at 5 minutes. Do not interpret the result after 10 minutes. NEGATIVE:* A colored line appears in the Control region (C) and colored lines appear in the Test region (T). This negative result means that the concentrations in the urine sample are below the designated cut-off levels for a particular drug tested. A procedural control is included in the test. A line appearing in the control region (C) is considered an internal procedural control. It confirms sufficient specimen volume, adequate membrane wicking and correct procedural technique.